Please note that for a limited time, we are including full size complimentary jars of our aloe-based bamboo and berry facial scrub and our organic moisturizing lotion with every bottle of Sela ordered. Please note that the complimentary jars of facial scrub and lotion will not appear in your cart or receipt; we will add them when we package your order. After almost two years of testing and development, I'm pleased to introduce Sela, a phenomenally effective and truly natural skin brightening formula. This formula was inspired by several lady relatives on my side of the family, who seemed to be on a never-ending search for an effective skin brightening formula. In reviewing the ingredients and concentrations of several pricey products from all over (the States, Japan, and Korea) ranging from one to two hundred dollars, I knew that I could put together a higher quality skin brightening formula at about half the cost - it only took me 22 months to sort it all out. Each of the premium grade, natural ingredients that go into Sela are chirraly correct, which is to say that our natural skin brightening ingredients are guaranteed to penetrate into the dermal layer of your skin. It's in the dermal layer where the effects of aging, including photo damage, manifest as scar tissue build-up, which is ultimately what hurts skin brightness and clarity. Not only can the ingredients in Sela effectively sink into the dermal layer of your skin, they have been clinically proven to be more effective than synthetic bleaching agents like hydroquinone. Bottom line: daily use of Sela is intended to restore damaged skin cells, leading to a brighter, more youthful glow in your complexion without the harmful effects of traditional bleaching chemicals. "Within a week of using a dab on my forehead, cheeks, nose, and chin, several people commented on the change in my complexion. Now when I don't use it, my skin looks kind of ashen. You're spot on to call it a skin brightener." "As you know, I tried it for the spots (melasma) on my upper cheeks. It took until this month (five months of daily use) to see fading. My spots haven't disappeared completely, but a few of them have definitely become less noticeable. My skin also feels younger, like it is naturally tighter. People have told me that I'm looking happy and well rested!" "I can't go without it. I massage it all over my face before lotioning in the morning. This is the best thing you've made so far." "This is way better than the Korean cream that I bought last year for over a hundred dollars. It's made a big difference with my pregnancy spots, but you should tell your readers that it took a while (six months of daily use)." "Right away, you feel the quality. What's amazing is that it feels like it's doing a lot to my skin and making it brighter but it doesn't feel harsh. With (what my mother bought for me), my skin got itchy and red almost right away. I love this!" Wash and gently pat your skin dry. If you use toner, apply it before using Sela. Apply a small amount to your entire face and neck - just a small amount goes a long way if you gently massage this formula into your skin. 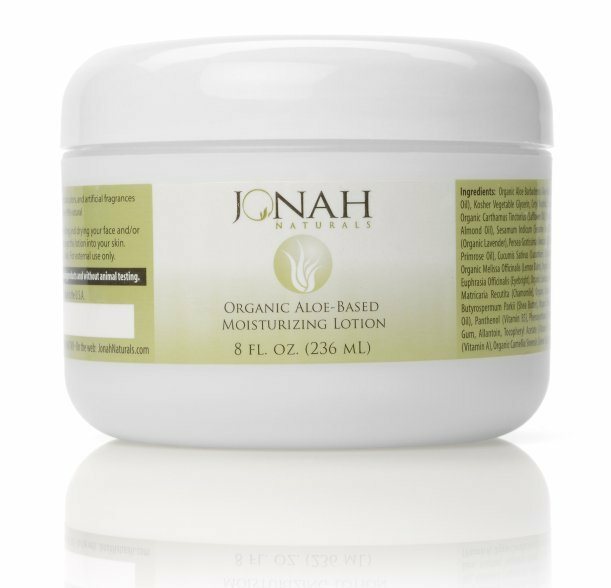 Follow with a natural moisturizer (we had all of our testers follow application of Sela with Jonah Naturals Organic Moisturizing Lotion). You can use Sela once or twice daily. It can be applied under make-up, and is completely safe for pregnant and nursing women. In all of our testing with people in multiple age groups (early 20's to late 80's), we consistently found that it took about six months to see significant improvement in skin tone and brightness. Many of our testers noticed an almost immediate difference in general glow, though it took about half a year to see significant change in tone and brightness. Our testers seemed to experience equally positive results whether they used Sela in the morning or at night before going to sleep. Sela is housed in an airless pump bottle, one that works without a dip tube. Each bottle is filled all the way full (30 mL); pressing down on the pump pushes the formula out of the dispensing valve without air - you may need to pump a few times to initialize flow. Please note that just a small amount will be dispensed with each pump - this is intended, as five small dabs, evenly spread out over the face is an optimal amount for most; using this amount on a daily basis, each bottle of Sela lasted our testers between 1.5 to 2 months. Organic Herbal Infusion, Organic Aloe Vera, Hyaluronic Acid, Witch Hazel, Methylsulfonylmethane (MSM), Wild-crafted Kojic Acid/Reishi, Glycolic Acid, Carbomer, (2s)-2-Amino-5-guanidinopentanoic Acid, Wild-crafted Willow Bark, Organic Licorice, Wild-crafted Lemon Balm, Wild-crafted Chinese Ginseng, Organic Anise, Organic Horseradish, Organic Schisandra, Organic Fennel, Melissa Essential Oil, Organic Jojoba Oil, Ethylhexyl Glycerin, Phenoxyethanol. If you're not completely satisfied with the results that you experience with Sela (provided that you use it daily on all areas of your face and neck where you would like to see improvement), simply let me know and I'll authorize an immediate refund, minus shipping and handling, no questions asked. I only ask that you give it a fair trial, as our extensive testing indicated that it takes about six months to see significant, lasting change. Can Sela be used under regular sunscreen? 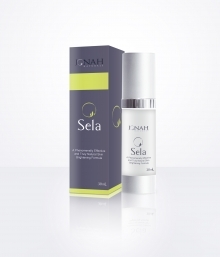 Yes, Sela can be used under any type of moisturizer, sunscreen, or make-up. It penetrates to the dermal layer quickly. Is it safe for use during pregnancy and breastfeeding? Yes, Sela is safe to use while pregnant or nursing, though it's always prudent to check with your physician before you introduce any new product to your daily regimen. I am allergic to chemical fragrances and wonder about the suitability of your product, Sela? We do not add any artificial fragrances to Sela; it is considered scent-free. Will Sela remove brown spots? Most of our testers were looking to do just this, to fade hyperpigmented spots. We found that it took about six months to see effect; smaller, lighter spots disappeared in some cases, while in most cases, we noticed significant fading, not complete disappearance. Our testers found that Sela definitely seems to prevent occurrence of new spots. Don't forget that for a limited time, we are including full size complimentary jars of our aloe-based bamboo and berry facial scrub and our organic moisturizing lotion with every bottle of Sela ordered. For example, if you order 2 bottles of Sela, you will receive 2 jars each of our luxurious facial scrub and organic moisturizing lotion as well! We are offering these bonuses because feedback from our clients tells us that these products work synergistically with one another, and we are intent on delivering measurable results and incredible value. 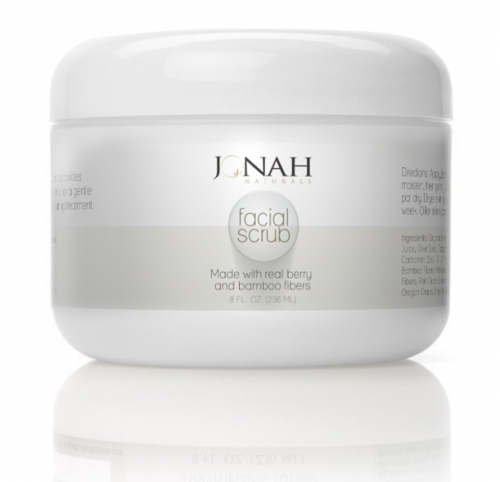 Please note that the complimentary jars of facial scrub will not appear in your cart or receipt; we will add them when we package your order. I tried this for the first time and really liked it. It felt nice and seeped into my skin. I think you have to use it for long time to get real results. I have used this product for over a year. Although my age/sun spots are still there, I do think they have lightened. Also love the face scrub. Thank you Dr. Kim for your advice & products. When I started using Sela, I couldn't tell the difference, and people I saw regularly didn't notice, either. My skin was already healthy-looking, from good genes and extra estrogen from too much body fat. But I started getting compliments from people I see infrequently, who tell me that I look great. I have mild Rosacea and when I use this product faithfully, it reduces the redness by a whole bunch. I prefer using this to the Rx my dermatologist prescribed. Even she was impressed with the results! When I use it on the backs of my hands, it also reduces the appearance of age spots and freckles. Good stuff! I love love love this. I got it with the bamboo facial scrub and lotion and I am soo happy with how my skin looks. I honestly couldn't have imagined that my complexion could be so clear and natural looking. One bottle lasts almost a year! A very non-irritating product. I used it almost every day but sadly did not see any change in my freckles (and one light age spot). Caution: the area around your dark spot will lighten before the spot so it looks like the spot is actually getting darker! I've been using this product for about a month. I haven't noticed any lightening action yet. However my skin is smoother, pores have shrunk and many blemishes are already waning. I can't wait to see what happens over the next few months. I wholeheartedly trust and support Dr. Ben Kim's products. He is a rarity in today's world - genuinely committed to creating awareness about healthy living, extremely knowledgeable, warm, and empathic. Thanks Dr. Kim! Sela is extraordinary. I and all of my closest girlfriends use it daily. You feel and see improvement from day one! Thank you for making this, Dr. Kim! I have done away with three different products that I was using to accomplish less than what Sela is doing for my complexion at a fraction of the cost, like 20% of what I was paying monthly. 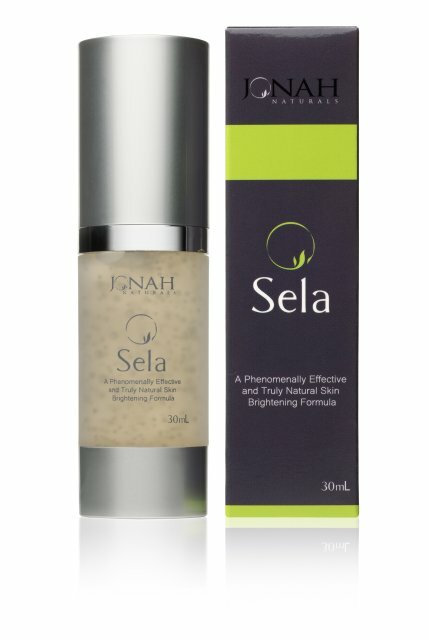 I love Sela for its texture which is every bit as good as my present more expensive serum. It gives me a reason to get up in the mornings to scrutinize my face! I use it on my eyes as well. I have been using Sela for about three weeks now and I have noticed that my skin looks clearer and healthier than it has for a long time. I am 81 years old and have rosacea. Thank you so much for offering this wonderful skin treatment and for all your helpful newsletters. This product is really good. I have only been using it for a short while, but my skin feels and looks very good - thank you. I think Sela is going to be one of those products that once used, one will not want to be without - fabulous. This is my 2nd week using this and I love the smooth feel of my skin, so I'm looking forward to the next 2 bottles! Thank you Dr. Kim To all of our good health. I've been massaging this serum in before moisturizing in the morning...it gives me a glow that my coworkers have noticed right away. Very high quality product, thanks for the extra one! It's only been two days since starting and I already see a change. My face looks less tired and less ashen like one of your testers said. I will update my review after I finish up using the bottles I ordered. Thank you!! !